Tick season is officially upon us, and with it comes the sprays, dips, and baths for our furry friends, but what about humans? What dangers do ticks represent for us? Tick season is officially upon us, and with it comes the sprays, dips, and baths for our furry friends, but what about humans? What dangers do ticks represent for us? 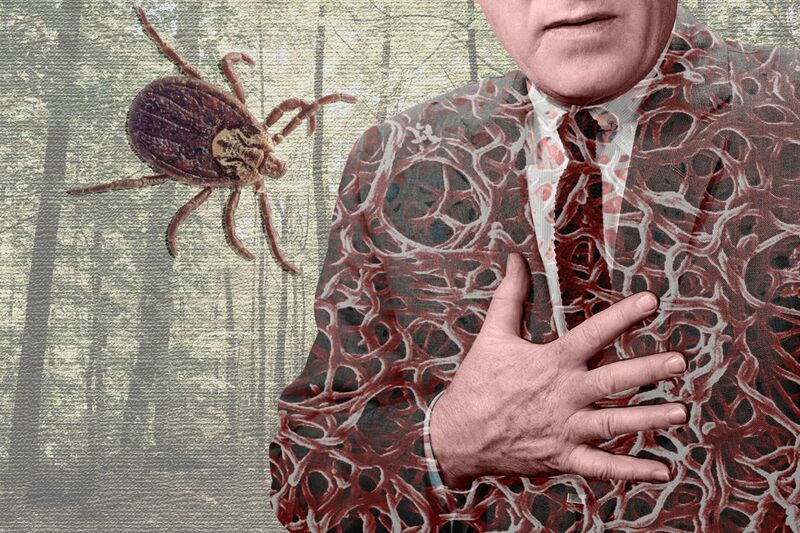 The truth is that there are very serious problems, and the biggest one is Lyme disease. Sufferers of this affliction can take comfort in a new treatment: cannabis. First described in 1977 as “Lyme arthritis”, it is the most common animal-transmitted disease in North America. Each year, over 30,000 new cases are reported, many in areas that have never reported infections. As the years progress, the disease is slowly being reported in more populated regions of the country. Tick season is between April and September when the virulent parasites are most active. Caused by the bacterium Borrelia Brugdorferi, it is carried by deer ticks or black-legged ticks. The bacteria are most often found in deer and white-footed mice, which can carry it until a tick picks it up from them. The ticks are small, and the worst ones are the young, which are little larger than the dot at the end of this sentence. The condition is most often diagnosed based on a bulls-eye looking rash. Unfortunately, not only does this rash not always appear distinctly, being often mistaken for spider bites, dermatitis, lupus, or other minor skin irritation, sometimes it doesn’t appear at all. The other symptoms include fatigue, low fever, and joint pain, which are often associated with the flu. The symptoms may not appear for weeks or even years later. By then, they develop into arthritis, numbness, pain, and irregular heart rhythm, and don’t always respond to antibiotics. The condition can become chronic, affecting some people for life. In the picture above, a man shares the impact of 2 years of chronic Lyme disease medication, not including his IV. A person can smoke or vaporize it to reduce symptoms, or ingest the oil to help combat the disease. Most importantly, it can replace dozens of medications whose side effects require dozens more. Alexis was diagnosed with late-stage Lyme disease. Given antibiotics, she took them so long they damaged her gastrointestinal tract, leaving her hospitalized with hemorrhagic colitis. When she was given pain medication to ease her suffering and taken off antibiotics, the meds did nothing for the pain. She began to take cannabis, and her nausea faded, her pain went away, and her mood improved. To get the same effect from prescription medication, she had to take morphine and lorazepam intravenously. Shelly has Lyme disease, and it causes up to ten seizures a day. 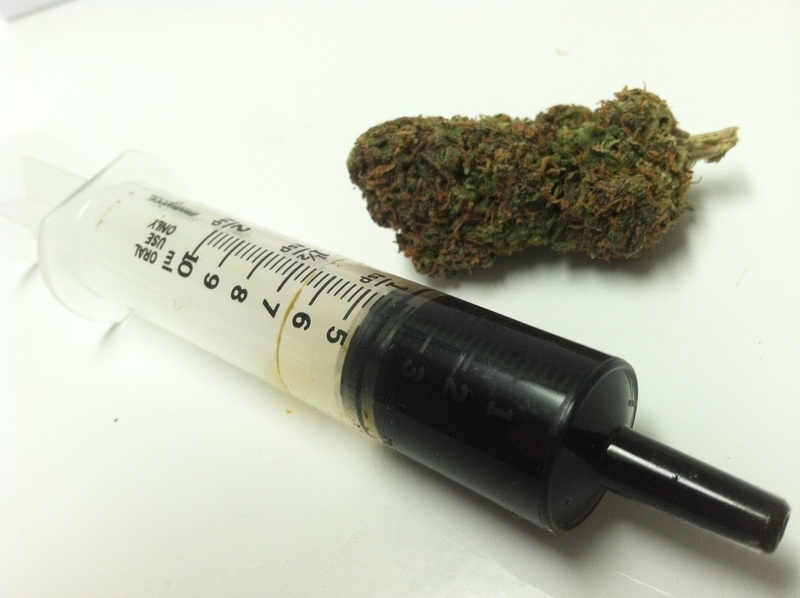 Switching to smoking and vaporizing cannabis, her seizures stopped completely. She began to ingest the oil as well and was back to both and school in one month. There are no scientific studies on cannabis oil for Lyme disease, but there are plenty of studies on its use to treat seizures, nausea, arthritis, chronic pain, and other conditions that are symptoms of the disease. The only word on its effectiveness comes from the many patients who have used it and found relief. That has been the case with other conditions, whose patients have later been vindicated through scientific studies that proved the effectiveness of the plant. It’s time that we de-schedule cannabis so that patients can have access as well as doctors and scientists to help unlock the vast potential of this life-altering, and life-saving medicine. Do you have Lyme disease? How does it affect you on a daily basis? Have you tried cannabis to treat it? Let us know how it is working on social media or in the comments below.